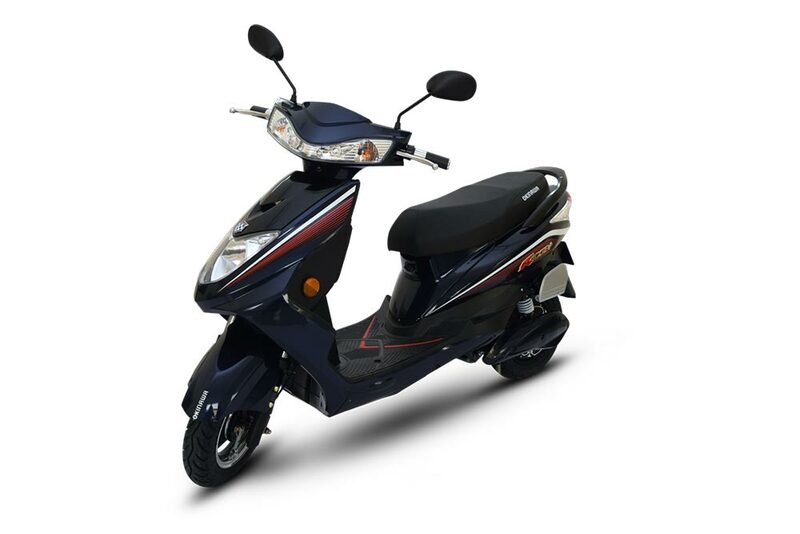 Okinawa Scooters launches Ridge+( lithium-ion) at a price of INR 64,988/-, features detachable battery and a host of other features. Ridge+, an 800-watt, BLDC Motor (Water-Proof) sleek e-scooter powered by Lithium-ion battery. Ridge+ is available in two attractive colors – Lucent Orange/ Magna Grey & Mid Night Blue. Okinawa Autotech Private Ltd., India’s fastest growing and most disruptive e-automobile manufacturer, has already redefined the EV domain in India with its powerful products that has turned the tables on every conventional notion about E2Ws. Continuing with the same trend, the Okinawa Scooters recently launched Ridge+, an 800-watt, BLDC Motor (Water-Proof) sleek e-scooter powered by Lithium-ion battery. Ridge+ is available in two attractive colors – Lucent Orange/ Magna Grey & Mid Night Blue. Ridge+ builds on the footsteps of its predecessor and a highly successful Okinawa e-scooter, the Ridge. With a top speed of 55km/hr and an astounding mileage of 120km/charge, the Ridge+ is a complete vehicle that combines power, performance and environmental sustainability. It features best-in-class loading capacity of 150kg, with comfortable handling so important to maneuver chaotic Indian roads. Ridge+ scores high in terms of safety and control, with front and rear drum brakes, central locking, anti-theft alarm, keyless entry etc. 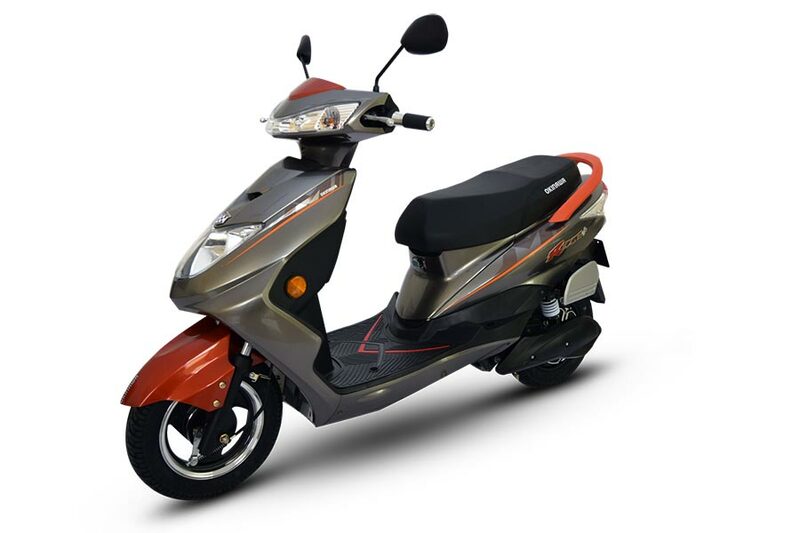 In a first, it also features E-ABS (Electronic-Assisted Braking System) with regenerative energy and a Find My Scooter Function that allows you to remotely locate your scooter. After the positive response garnered by Ridge and Praise, Ridge+ is the result of Okinawa’s sustained desire to keep offering Indian commuters best-in-class EVs which are not only equal, but even better than their in-class conventional fuel variants. The Ridge+ offers great convenience by providing the detachable battery which makes the charging at ease. 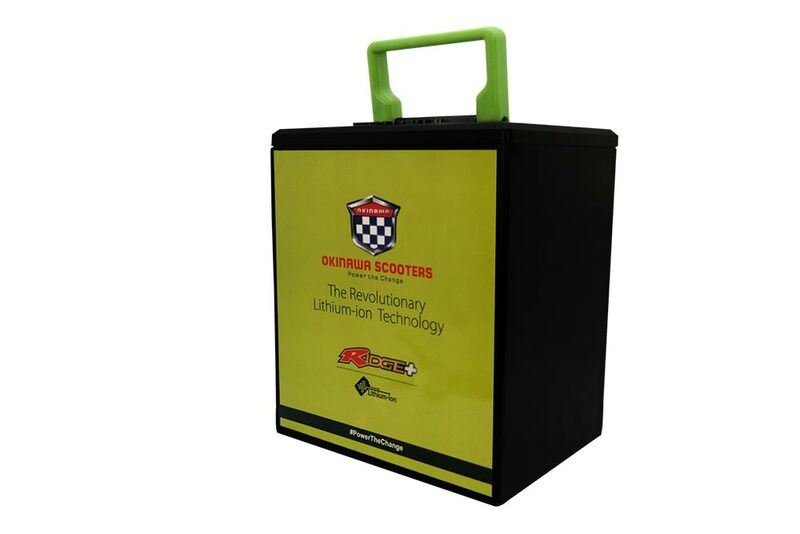 User can take out the battery & carry to their home or office for charging purpose. Equipped with a Micro-charger featuring Auto-cut that get the scooter up and running in 2 hours flat. The high mileage offered by it is a treat for the explorers amidst our users for whom the roads are not a means towards a destination but an experience in themselves. Lastly, the unique design and color scheme of the Ridge+ will definitely make it, along with its proud owner, stand out among the crowds. Within a couple of years, Okinawa Scooters has established its name as the leading innovator in the field of EVs in India. Its products feature high-grade engineering, premium-quality hardware and a vision that tries to encompass the best of every domain within its two wheels for the optimum benefit of the commuters. Featuring the ultimate combination of power, performance and environmental sustainability, the Ridge+, just like its predecessors, is sure to capture the imagination of the sensitive and curios Indian commuter who like to experience long journeys without leaving a polluted footprint behind them. Ridge+ is available at very attractive price at INR 64,998 Ex-showroom Pan India. Product is available at authorized dealers. During the inaugural month of Oct’ 18, the company aims to roll out 500 units of Ridge+ in a few states, followed with 1500 units of Ridge+ in Nov’ 18. Thereon, Okinawa seeks to increase the capacity substantially. Magna Grey & Mid Night Blue.